Description: This photograph demonstrates the gloved hand of a laboratory technician opening the inner cylindrical-shaped container. On the left you can see the opened box. 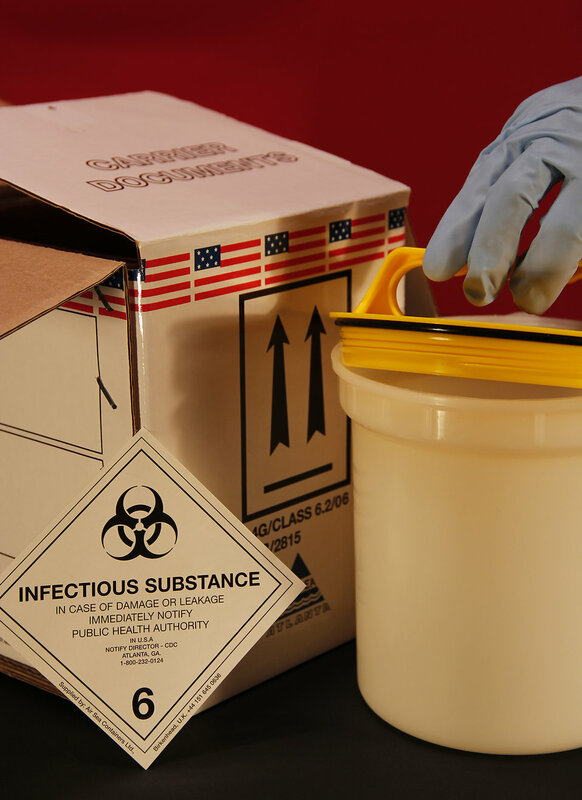 In addition, the diamond-shaped label seen in the foreground is a typical biohazard shipping label, which must be placed on the outside of the box prior to shipping, stating that the package contains an infectious substance.